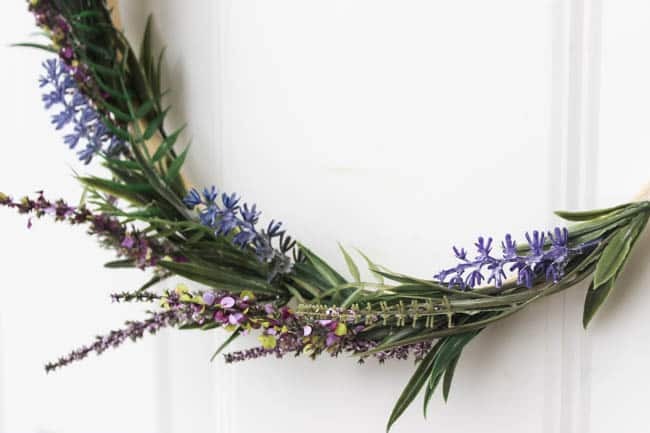 When I talk to friends about what they would make for a certain season, most of them say a wreath. 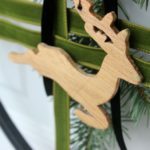 Even the non-DIYers out there would make a wreath, right?! 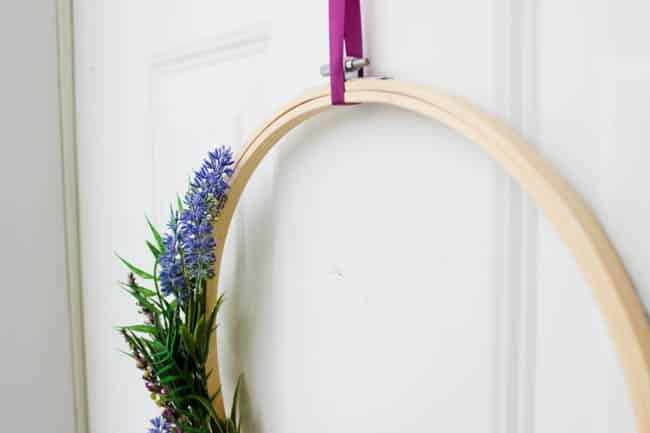 And if you’re going to make any Spring wreath, it’s going to be this #10minuteDIY! 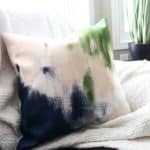 This month my friends and are are sharing Spring 10 minute DIYs, and this project is soooo simple! 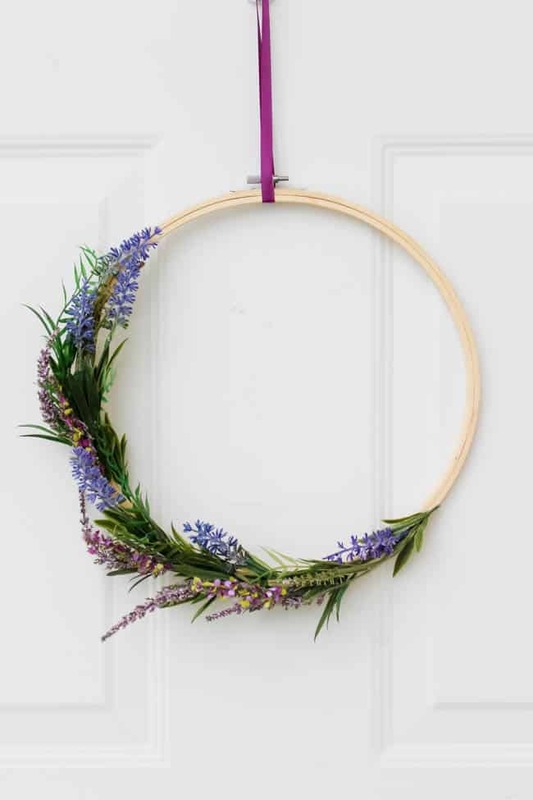 Can you believe that after three years of blogging I still don’t have a Spring wreath?! I don’t know how that happened. My sincerest apologies… lol. 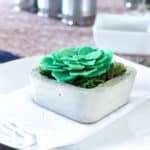 Because it’s easiest to explain how easy this DIY is with a video… I have one for you! Easy, right?! 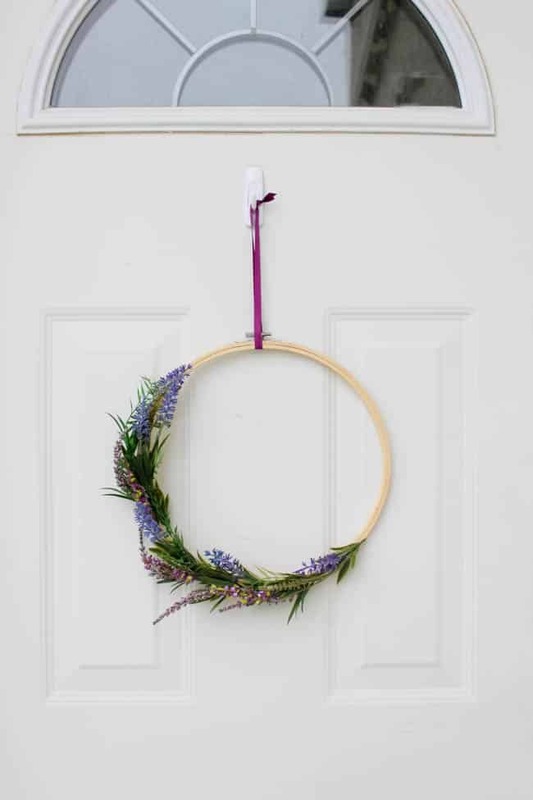 I LOVE this simple hoop wreath. 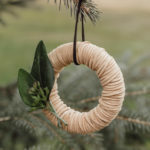 And I’m loving the possibilities of making a new one for every season. 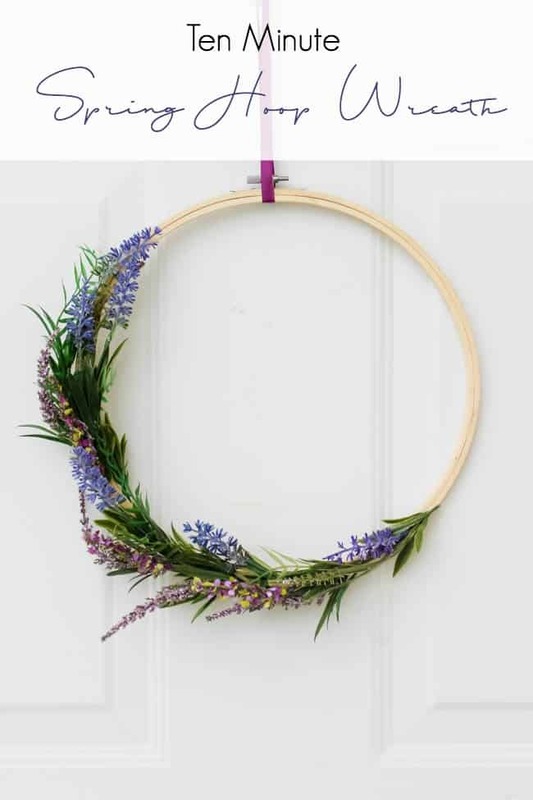 My wreath-loving-non-DIYer friends will all be thanking me! 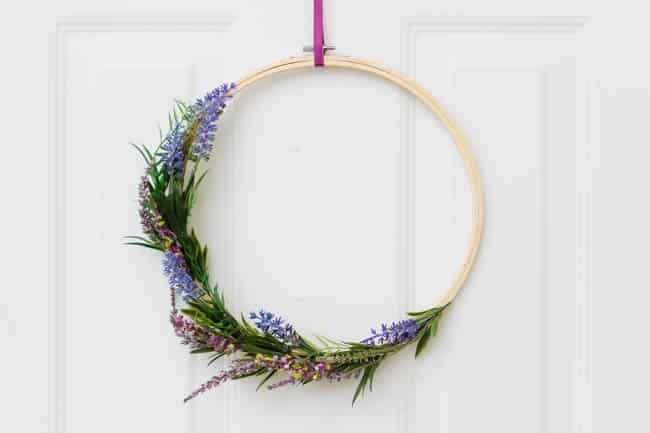 I added a simple purple ribbon to the hoop, and tied it in a knot at the top. 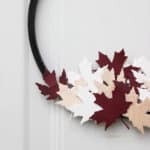 I also somehow lost the hook on my front door this blustery winter, so I hung a command hook on the door as well! 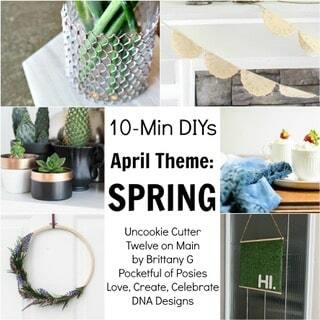 Now it’s time to visit my friends and learn about the other amazing 10 Minute DIYs! I’m glad I check my laptop and saw your great wreath idea!!! I’m on my way to Walmart and a few other crafty places and so I watched your video and made my list and off I go! 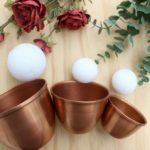 It’s so simple and elegant! 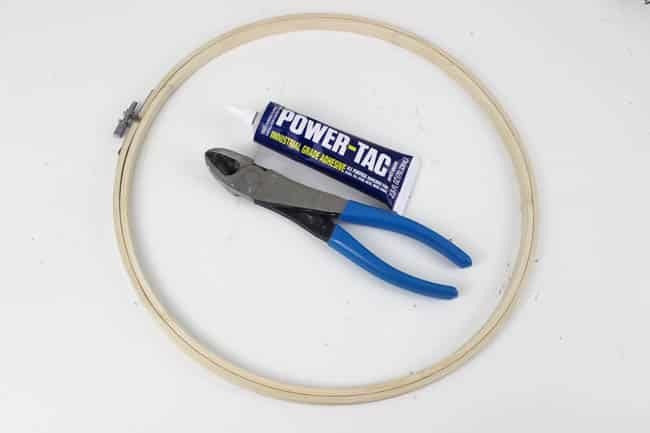 I’m not very crafty so this is perfect for me. Thank you! 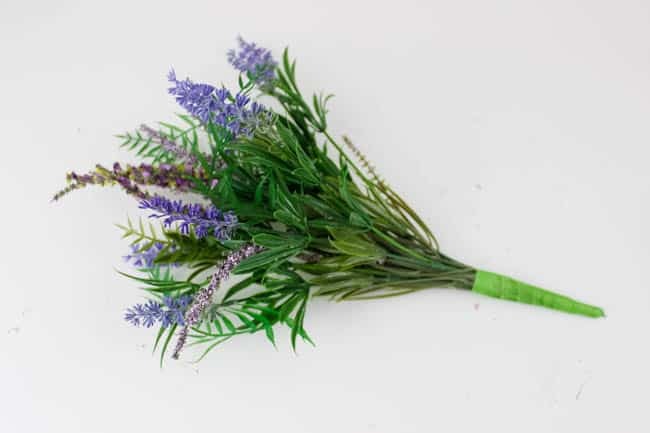 Hello, do you remember where you bought that bundle of flowers from? Thank you! All of the flowers were from Michaels Stores! Aren’t they beautiful!